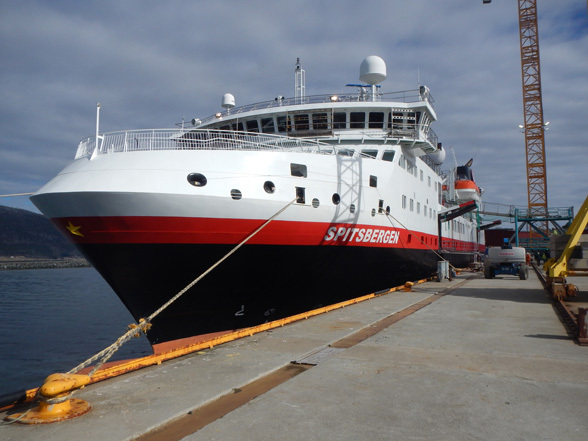 Hurtigruten has ordered to NG3 another PLUG shore connection to be installed on its SPITSBERGEN cruise ferry to allow this ship to connect to shore power in Bergen and other Norwegian west coast terminals. Power exchange requirement on the ship side is above 1 MVA under 1 kV. Another specific requirement for this project is that the ship side interface has to be installed within a very limited foot print to allow the implementation of a fully equipped on board hospital mandatory for use of this vessel as an exploration cruise vessel in artic regions. Installation is foreseen first quarter 2018.